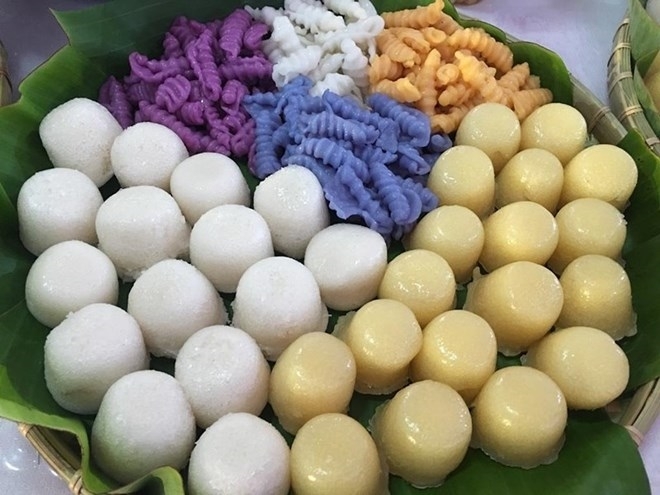 The eighth Southern Traditional Cake Festival opened in the Mekong delta city of Can Tho on April 12, marking the first of an array of cuisine, cultural, tourism, and trade promotion activities. Vice Chairman of the Can Tho People’s Committee Truong Quang Hoai Nam said the festival, which lasts till April 16, looks to advertise signature cakes of the southern region as well as seek ways to preserve them. It also aims to step by step build a national trademark for “Southern traditional cakes”, he said. Over 220 booths introduce cakes made from 19 provinces and cities nationwide and Japan, the Republic of Korea, India, Italy, France, Malaysia, Singapore and Thailand. At the southern cuisine area, visitors can taste 150 types of original traditional cakes and their 400 variations of the Kinh, Hoa, Khmer, and Cham people living in the Mekong delta region. A competition on making southern traditional cakes will be held on April 13 with the participation of 83 artisans, who will show the making of 70 types of traditional cakes. A talk seeking markets for traditional cakes will be held on April 16.